Throwing Snow - Loma. Vinyl LP, CD. Bleep. Opening with the held-back breaks of Simmer, the pace is immediately set with a heavy mix of ruffneck jungle beats and sharply cascading acid b-lines, the energy never lets loose, keeping a strong grip on the constantly building velocity that lands armed to the teeth with some tasered amen breaks and a strong testone signal. 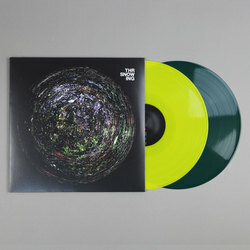 The shuffled breakbeat motion gets quickly pulled down a trance wormhole on 'Myriad' and 'Trébucher', where the glowing bars above offer relief from the punishing rhythms, yet the saw-tooth drums quickly come back for another round on the subtle, 2 step swing of 'Subtitles'. 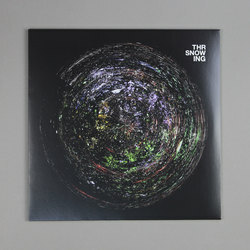 It's clear from the word go that this is some of the best material yet from Throwing Snow, his ability to carve out a niche within whichever rugged d'floor ready genre he turns his sights toward has never sounded so strong. 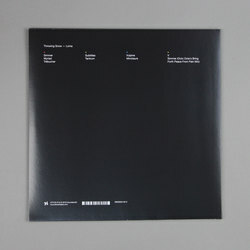 Loma caps off a flagship year for Houndstooth, one that has seen the label present key releases from Penelope Trappes, Vester Koza, Marquis Hawkes, Pariah and Aisha Devi. Loma is a strong end call testament to Houndstooth's place as one of 2018's most essential imprints.